Any kind of surgical procedure can be scary. This is my experience having my wisdom teeth removed. There are many things that we can do to keep our teeth healthy. We can brush and floss every day, see the dentist every six months, and eat healthy foods. 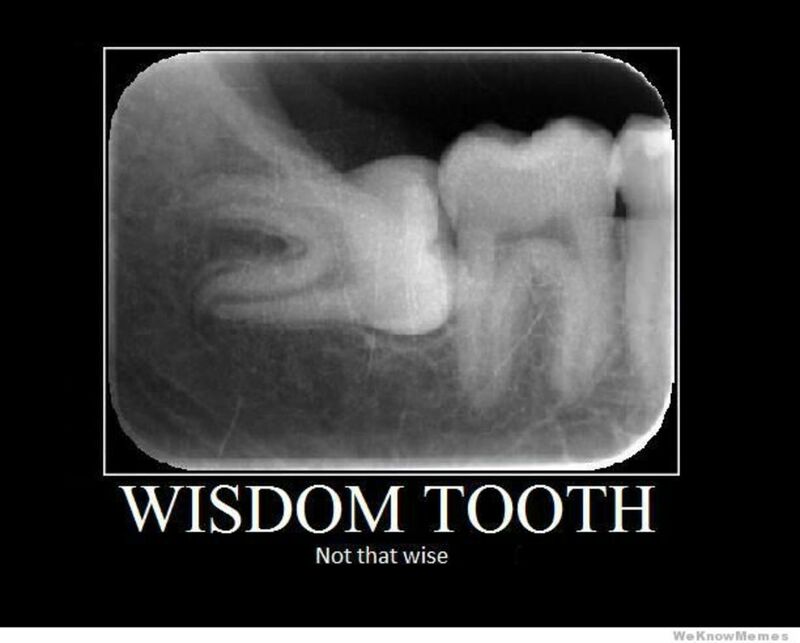 One thing we can’t always avoid, though, is having our wisdom teeth removed. Sometimes our mouths are just too small for our teeth to grow, and they become impacted or can’t break through the skin at all. So, they need to be surgically removed. This is a minor surgery that takes minutes, but any kind of surgery can be scary, and people have a lot of questions as to what to expect. Below I share my experience of having this procedure. Not everyone's experience is the same. I had the best possible outcome, but my story will give you a general idea of what to expect before, during, and after the surgery. Wisdom teeth are actually called third molars. They are the only teeth that do not develop in the womb. They tend to grow between the ages of 17-25. 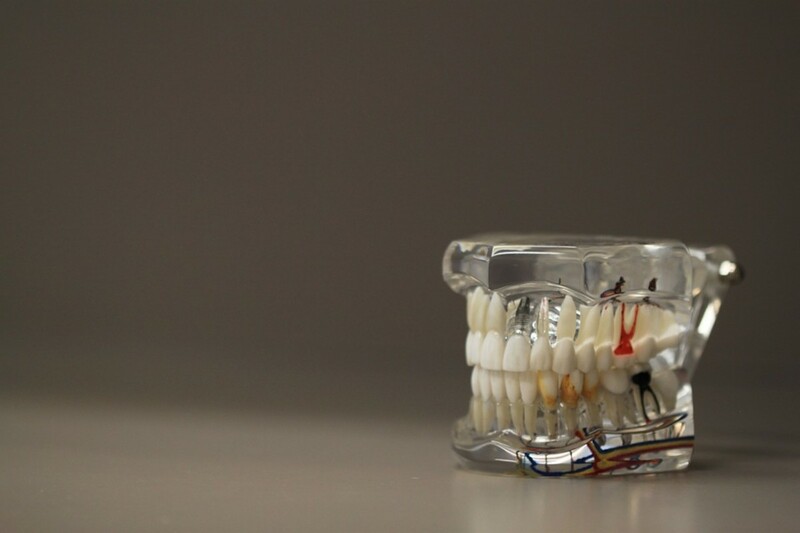 I first learned that my teeth were impacted during a routine teeth cleaning at the dentist. After the doctor took X-rays, he confirmed that my wisdom teeth would never come through and could cause me discomfort in the future. One tooth had managed to poke itself through the gum, creating a dull soreness whenever I bit down on it. That was as far as it was going to go, and there was no sign of the others trying to emerge at all. 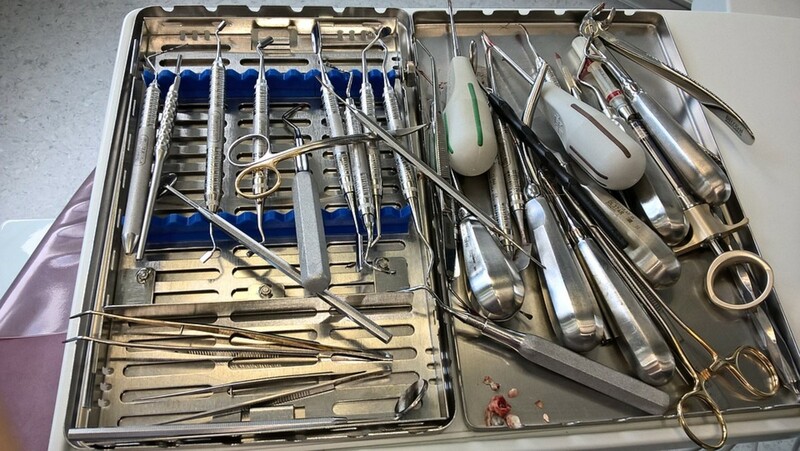 A few weeks later, I had an appointment with an oral surgeon who took a look at my mouth and scheduled the surgery. I was in my early 20s and in college. So, I waited until the semester was over to have the procedure. That way I wouldn’t miss any school. I didn’t know how long to expect to recover. 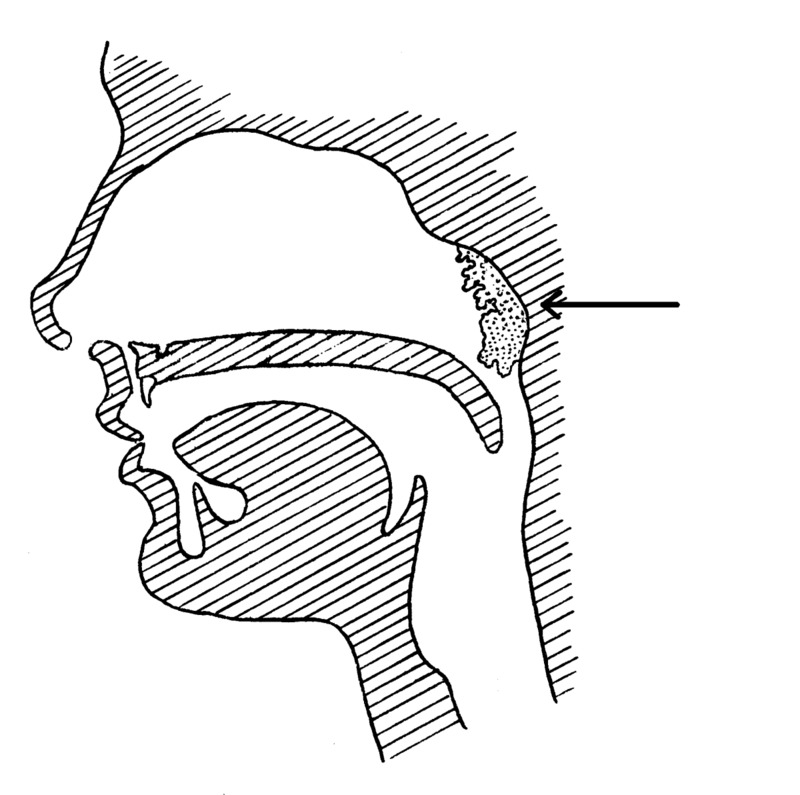 I’d seen some people really struggle after their surgery, barely able open their mouth over a week after the procedure. In the meantime, he requested my X-rays from my dentist so that he would have a guideline to follow during the operation. He then gave me instructions for prepping for the surgery. It would be done right in his office. An anesthesiologist would be called in to give me an IV which would put me in a twilight sleep. I had asked, nearly begged for gas instead, but he refused. 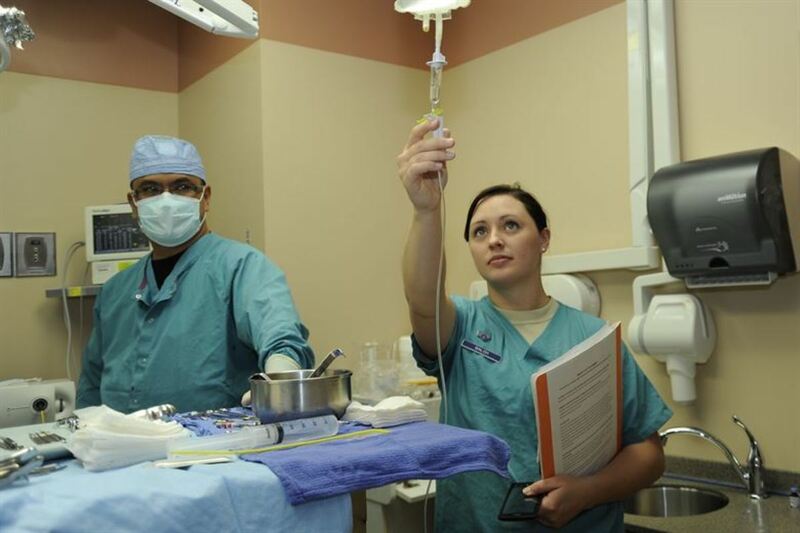 However, I have seen recent videos online where patients were given gas as an anesthetic. So, it is an option. I had to stop eating the night before my surgery. After dinner, I was cut off from snacking and couldn’t eat breakfast the next day either. I was allowed to drink until three hours before the procedure, but my stomach had to be completely empty. They also said to come in loose clothing so I wore a loose-fitting t-shirt and sweat pants to the oral surgeon's office. My mom drove me to the oral surgeon that morning. You need to bring someone with you since you will be too out of it to drive home. I believe my appointment was for 9am. No one else was in the waiting room. I looked blankly through magazines waiting to be called back in. The anesthesiologist was running late, though, so they had to wait for him to get there. After an agonizing hour of waiting, he finally arrived. I was called into an examining room where the surgeon explained what he was going to do. Then, the anesthesiologist explained his role before they walked me back to the operating room. It didn't look much different from a dentist's chair. The surgical tools were all out, and the IV was waiting for me. The anesthesiologist wrapped my arm in a large rubber band and then tapped hard on the top of my hand to let the veins pop. It was not pleasant. I turned away and waited for it to be over. Gently, he let me know when he was sliding in the needle. It pinched, and then I could feel the tube slide under my skin. It wasn’t a good feeling, but it wasn’t excruciating. A tube was placed in my nostrils, and I felt cool, calming air pumping into my nose. I remember turning my head away from my violated arm. That’s when I must have fallen into the twilight sleep, just a few seconds after the needle went in. 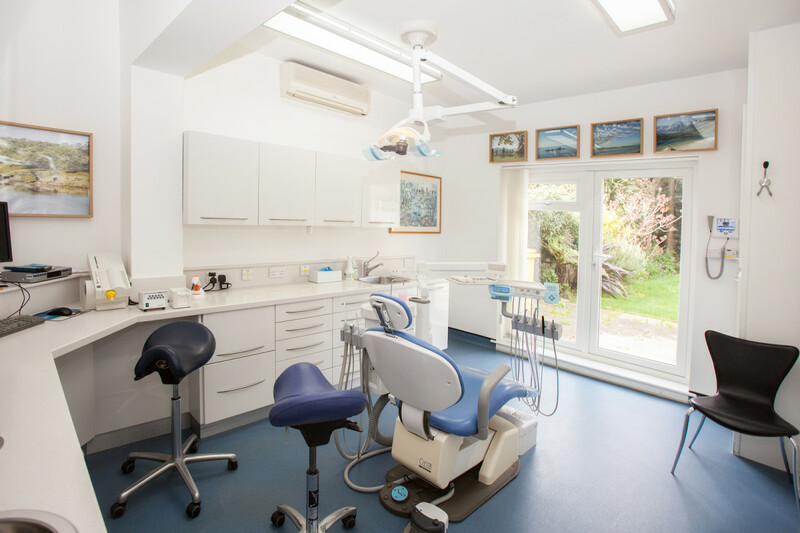 A loopy dental patient questions her time in the chair. The next thing I remember, I heard my anesthesiologist, a real easygoing and funny guy, say from far away, “Don’t worry, we got the whole thing on tape." I didn’t even realize I had been out, but suddenly, I felt so heavy. The needle was out of my arm, and all that remained was a piece of gauze taped to the top of my hand. I only caught glances of what was going on. My vision was fuzzy, and my eyelids were so heavy that I could only open them for a few seconds at a time. It was the most tired my body had ever been without being asleep. I managed to check my watch and saw that not even a half hour had passed since I had been put under. I later checked with my mom to make sure this was accurate. It felt like I had been asleep for hours. The nurse and doctor sat me up and walked me to a “recovery room." I was so relieved that the procedure was over, but I was still so tired. I began to shake like I had the chills, though I wasn’t cold. The nurse wrapped me in a blanket which felt like the security blanket I had carried around as a baby. I lay on a table and shivered, trying to wake up. I could hear my mom in the room talking to the nurse. The few times I was able to open my eyes, I knew that it was dark in the room. I never did see what that nurse looked like, but she had a friendly voice. I wasn’t acting strange like the people you see in Youtube videos. Other people I know who have had the surgery came out acting drunk or even hysterical from the anesthesia. It just made me weak and tired. My face was numb from the tip of my nose to the bottom of my chin. I knew that this was the lidocaine. I had been given a shot of it a few years prior when I had had a tooth filled, but this numbness was much more intense. I couldn’t feel my cheeks, but I could tell they were puffy by the way I was talking. Even though I still couldn’t open my eyes, the nurse asked me if I was ready to go. I didn’t feel like I was, but I nodded anyway. I heard my mom ask about the best way to leave, and the nurse told her to go through a back door. She led me out the door, across a busy street, and down the hill to where the car was parked. I walked the whole way with my eyes closed, holding on to my mom like an old woman being helped across the street. She reclined the passenger’s seat so that I could lie down during the short drive home. Once I was home, I felt a little more awake, but my body was still limp, and my eyes were heavy. My mom set me down on the couch, and I rested with a blanket and pillow for the rest of the day. Once I was situated, she asked if I wanted to take out the gauze. 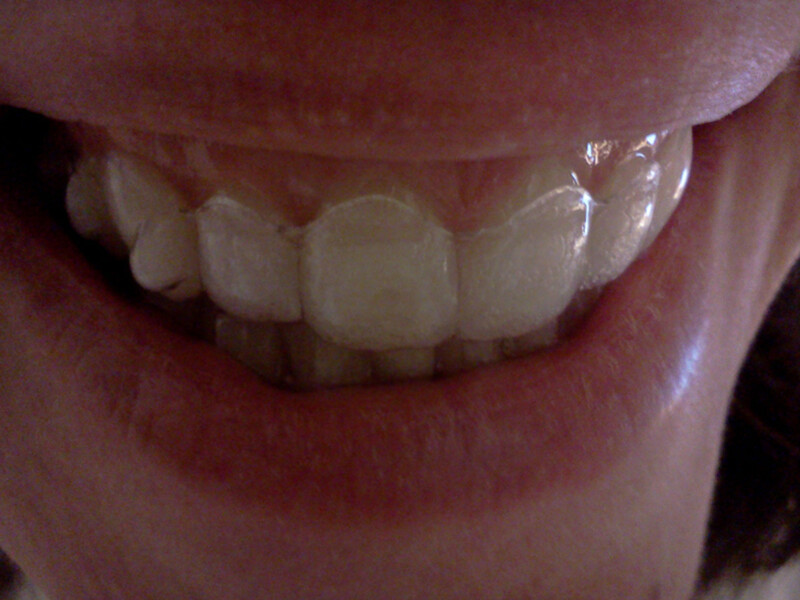 “What gauze?” I asked through a full mouth. My mom had me open my mouth, and it looked like Mrs. Fratelli pulling the pearl necklace out of Mouth’s mouth in The Goonies. A long, large ball of gauze came out of my mouth along with those long, cylindrical pads. I could speak better, but I still couldn’t feel anything. The gauze was a bit bloody, and I could start to taste blood when I swallowed. I was told to wash my mouth out with salt water as often as possible over the next few days but not to do it right away. My stitches were still raw, and my wounds needed to clot. It took me practically all day to wake up. I didn’t want to eat anything, and I was afraid to open my mouth too wide and pull my stitches. The local anesthetic had wore off by then, tingling just at the bottom of my chin before it fizzled out all together. Whenever I swallowed, there was a metallic taste. I was given a prescription of Vicodin, and by then, I decided that I should take it, thinking that the pain was going to start any minute. Everyone I knew who had had their wisdom teeth removed seemed to be really be sore after the surgery, and I expected the same, but intense pain never came. 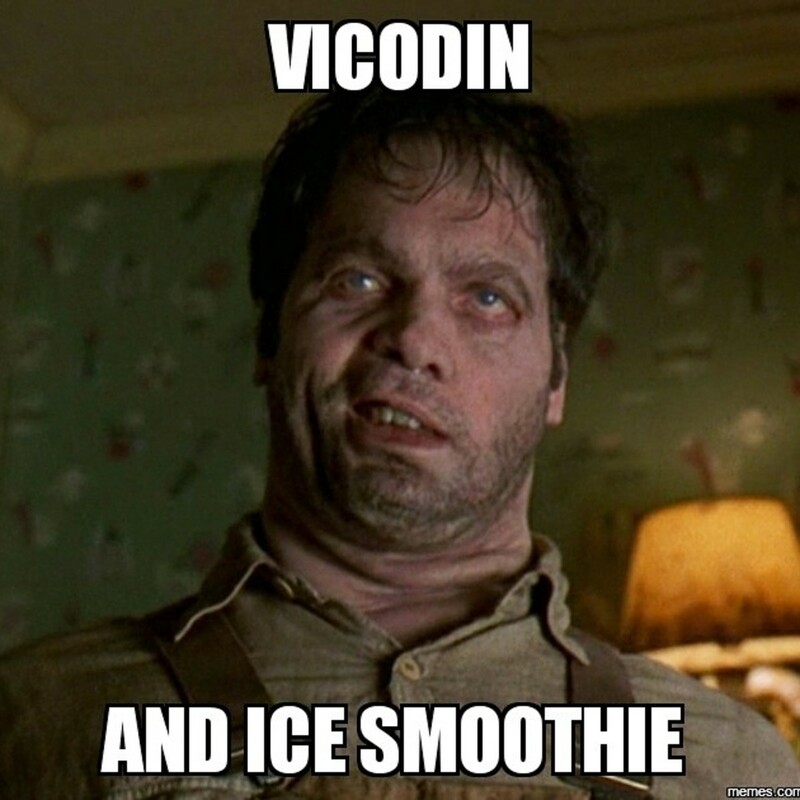 I took the Vicodin anyway, just to be safe. The medicine made me dizzy, and after a few doses, I began to hallucinate. My skin crawled, and I was tired but couldn’t sleep, a lot like after I had just woken up from the surgery. What little pain I had could be controlled with regular Tylenol so I took that instead. Once I got the nerve to open my mouth all the way, I took a look at my stitches in the mirror. 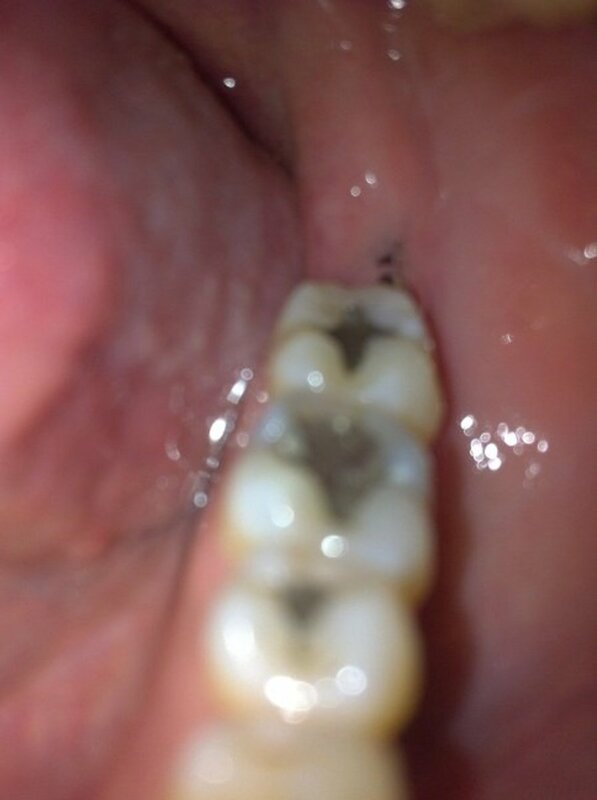 My gums were a little swollen in the back of my mouth, and large, black thread stitched the wounds closed. I had never had stitches before. They didn’t bother me much, but I was still leery of them. They kept me from eating solid foods for the first few days, afraid they would hurt or that I'd develop an infection, but after the third day, I felt brave enough to eat some rigatoni for dinner, and it didn't affect the stitches at all. For the next week, I rinsed my mouth with salt water at least once every waking hour. I just used regular table salt and tap water that I swished around and then spit out after a few seconds. 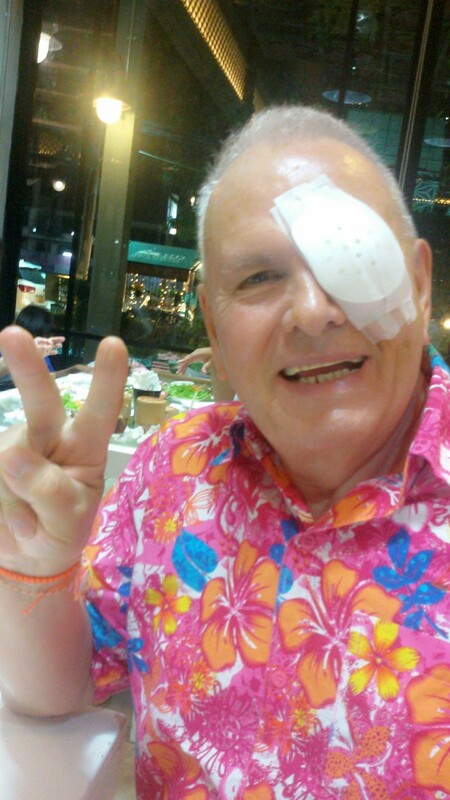 After a week, I was back to normal, but my stitches were still in. My stitches were removed during my follow up appointment with the oral surgeon. An assistant took a pair of scissors, snipped the ends of the stitches, and pulled them out of my gums. The entire appointment took about five minutes. She remarked on how well I had healed already. I credited the salt water for that. I thought that was the end of things, but a few days after my stitches were removed, the back of my top left gum began to hurt. Then, it started to swell with pus. I remember watching a movie one night and just playing with that part of my mouth and feeling miserable. Finally, my fingers closed in on something stringy. I ran to the bathroom, shined a flashlight into my mouth, and looked in the mirror. There was still a thread from my stitches sticking out of my gum. I grabbed a pair of scissors and snipped, cutting through the thread without trying to cut myself. Once it was cut, I pulled out a thick, black piece of string a little over an inch long. It was covered in pus, and I spit some more out into the sink, but my gum instantly started to feel better. I rinsed my mouth with salt water again and held a piece of ice on it until the swelling went down. By morning, my gum was back to normal. Apparently, the woman who had cut out my stitches had missed a spot, causing my gum to become infected. Luckily, I caught it before any real damage was done. 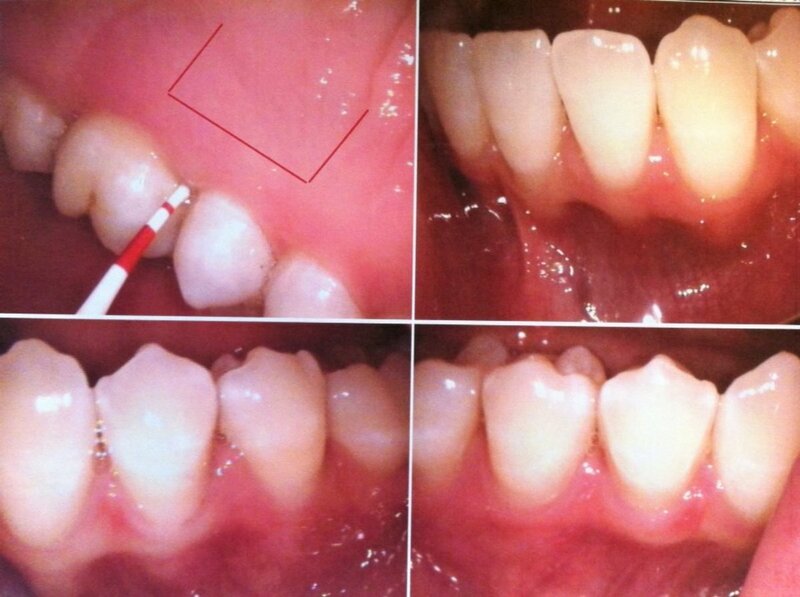 For several months after the surgery, I had deep crevices in my gums from where the cuts had been made. 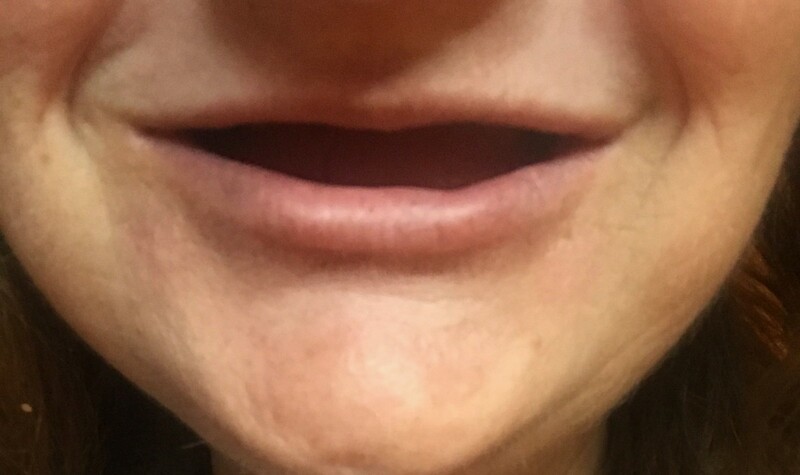 I assumed that the side where the one tooth had come up would have healed faster since it didn’t have to be cut as deep, but it healed about the same as the other three sides of my mouth. There is still a groove between my gum and my last tooth on the bottom left side of my mouth where food can become trapped if I'm not careful, but otherwise, my mouth is totally back to normal. In 2008, Japanese researchers discovered that wisdom teeth contain stem cells which can be saved to potentially be used if stem cells are needed later in life. Have somebody drive you to and from the surgery. Rinse your healing mouth with salt water as often as possible. Don’t think about how you should feel; think about how you do feel. Try taking over the counter medications before prescription pain killers. 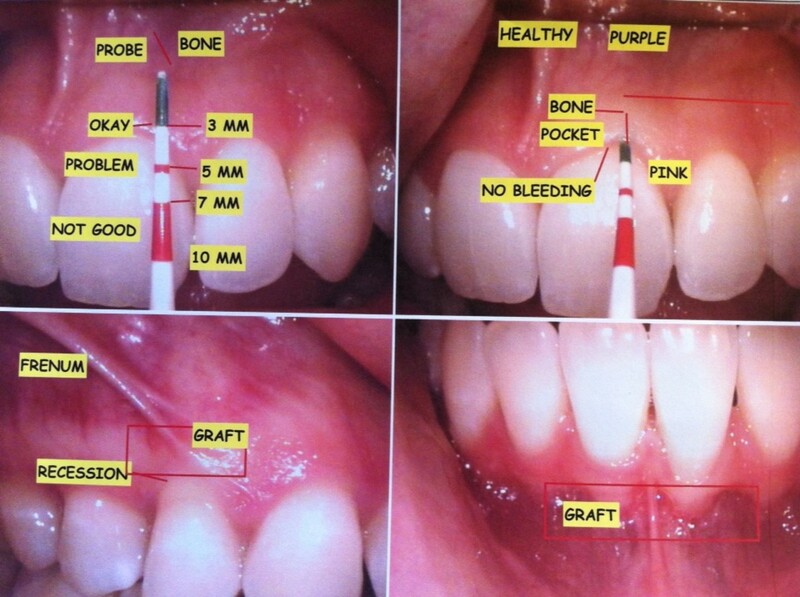 Make sure that all of your stitches are completely out once they are removed. Don’t wait until you're in pain to have the procedure done. In the end, having my wisdom teeth removed was an interesting experience. I learned what it’s like to be put under for the first time, I discovered that Vicodin does not agree with me, and I learned that not everyone’s experience is the same. If you feel like you can eat solid foods right away, do it. If you're in intense pain, call your oral surgeon. Most of all, rinse with salt water often. It will dramatically cut down on your recovery time. Follow your oral surgeon’s directions before and after surgery, put on a brave face, and keep a positive attitude. Many people go through much rougher procedures every day, and it’s important to keep that in perspective. In the end, it's a simple procedure that will save you a lot of pain down the road. My impacted bottom tooth removed today by oral surgeon with anaesthesiologist. Found panadol and ibuprofen good. Taken short acting morphine to sleep. Rdg this has settled my anxiety and I will sleep better. Do everything to avoid a dry socket. HELL. Have had one previously. Follow your surgeons instructions to a T.
Honestly, I'd just go with what you like to normally drink. I didn't have any shakes or ice cream or anything like that. I actually was back to solid foods within a few days. My sister was eating french fries that night. I probably could have too, but it was my first time with stitches and anesthesia so I was extra careful, but if you're not afraid to eat, go for it. I just had one removed yesturday last time was too long ago lol, and i completely forgot how it was like, family might not believe me but thats ok. the pain is only when i open my mouth wide. I tried eating mashed potatoes but gave that up in order not to risk it still i ate half the bowl in order to drink the antibiotics that i have to drink before and after anyways i had a coffee, banana and Vanilla ice cream milkshake for dinner i was able to eat right before my procedure due to the fact that i was not put under and general anesthesia was used had a filling almost felt as i was choking during the process but thats due to the anesthesia dripping into my mouth and throat the dentist and i knew i was just feeling that sensation due to the anesthesia. im going to stay on the safe side. Any suggestions on coffee shakes or smoothies without yourgert, flax seeds, eggs, or shia seeds i love coffee But would appreciate different types of smoothies too. I had mine out many moons ago , in the hospital. That's how it used to be done! It was way worse then what you experienced! My daughter had her 3rd molars removed last year. The IV, was placed where blood is drawn. She was never drowsy afterwards. She said the whole ordeal was about a 2 on a scale of 1-10. Trust me, she's not brave either! Good Luck Chriswillman90! I hope your experience is like my daughter's! Thanks for letting me know what to look forward to. I plan on having my wisdom teeth removed in the coming months, but I had no idea what the experience was like. I also heard that you don't need to use anasthesia if you want to save money on the procedure. Interesting and useful read, voted up. Yes, it definitely is. Thanks for the comment! I had mine removed ten years ago. My recovery lasted about a week and I basically lived on ice cream, mashed potatoes, broth, and scrambled eggs. (Though I was craving things like pizza and sandwiches within 4 days!) Salt water and ice packs really helped, too. The worst part of it was the anticipation. Oh man. Braces are no picnic either. I can't imagine having that all done at once. I remember this vividly. I had four wisdom teeth removed within a week of getting braces. A whole lot of mouth pain. It takes courage to go through the whole procedure like you did; and you did a great job! I can relate to all the pain and discomfort; happy that you came through cheerily.